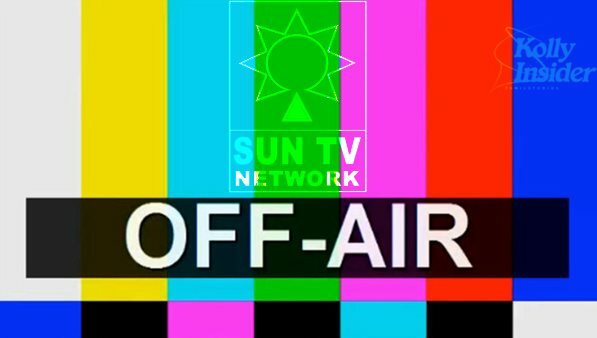 South Indian language satellite channel broadcasting major Sun TV Network Ltd's stock price saw a drastic fall on Monday in the bourses following the news that its channels were going off air. The scrip which closed at Rs.356.35 on Friday opened at Rs.320.75 and touched a low of Rs.258 before recovering and changing hands at around Rs.280. Meanwhile, clarifying the news report in an English business daily, the company in a filing with the BSE said: "We wish to state that no communication has been received by the company in this regard from any ministry and all our Channels continue to be on air." According to the news report, the home ministry has denied security clearance to 33 channels of the company owing to pending cases against company promoter Kalanithi Maran and his brother and former union telecom minister Dayanidhi Maran. Last fiscal the company posted profit of Rs.737.23 crore on a total income of Rs.2,331.45 crore. This is the second time this fiscal the prices of Sun TV Network's scrip has gone down sharply. In April, the scrip's price came down after the Enforcement Directorate (ED) said it has attached property worth some Rs.750 crore of Sun TV Network's promoters in connection with the 2G case. On April 1, the ED said it has attached properties worth Rs.742.58 crore belonging to Sun TV's principal promoter Kalanithi Maran, his wife Kaveri Kalanithi and his brother Dayanidhi Maran, who was a minister in the previous United Progress Alliance (UPA) government, in the Aircel-Maxis case. The Central Bureau of Investigation (CBI) has alleged in the courts that Dayanidhi Maran used his influence to help a Malaysian businessmen, T. Ananda Krishnan, buy Aircel by coercing its owner C. Sivasankaran to part with his stake. Sivasankaran alleged that Dayanidhi Maran favoured the Maxis Group in the takeover of his firm. He also alleged that the company made investments through Astro Network in a firm purportedly owned by the Marans. Four companies -- the Chennai-based Sun Direct TV, Britain-based Astro All Asia Networks, Maxis Communications Berhad of Malaysia and the South Asia Entertainment Holdings of Mauritius -- have also been named in charges filed on August 29, 2014, by the CBI. The CBI said there was sufficient evidence to prosecute the accused and booked all of them on the charges of criminal conspiracy under the Indian Penal Code (IPC) as well as the provisions of the Prevention of Corruption Act. On April 1, the ED said its probe revealed that illegal gratification of Rs.742.58 crore was paid by the companies based in Mauritius, meant for Dayanidhi Maran, in two companies -- Sun Direct TV Pvt. Ltd. (SDTPL) and South Asia FM Ltd. (SAFL). The main shareholder of the SAFL is Sun TV Network with 60 percent, while 20 percent each is with A.H. Multisoft Pvt. Ltd. and South Asia Multimedia Technologies Ltd., Mauritius.